Is the Solar Energy Industry Shifting from Big Solar to Rooftops? There’s been a lot of talk this week about the Ivanpah Solar Electric Generating Station, which has officially begun generating electricity. The plant’s primary owners are BrightSource Energy, NRG Energy, and Google. NRG Energy, Inc. (NYSE: NRG), through its wholly owned subsidiary NRG Solar, LLC, announced yesterday that the plant is now operational and delivering solar power to California customers. The largest solar thermal plant in the world, the huge solar farm covers about five square miles of federal land in the California desert. About 350,000 large mirrors reflect sunlight onto boilers that sit on top of three massive towers. The extreme heat turns the water into steam, which is fed to steam to turbines. At full capacity, the plant can produce 392 MW of solar power, enough electricity to power about 140,000 homes a year. Reactions to the plant’s opening have been mixed. It does help with California’s goal of producing 33% of its energy from renewables by 2020. And at full capacity, it can avoid 400,000 metric tons of CO2 emissions a year. Ivanpah’s dry-cooling technology is a bonus, given California’s current drought. However, the plant has been the target of some criticism for its adverse environmental effects. It covers five square miles of habitat for desert tortoises and other creatures, and it generates so much heat that it’s frying birds who fly through the area. Some see it as both a success story and a “cautionary tale” involving the tradeoff between environmental benefits and the risk of compromising fragile land. Others think more of these large plants won’t be built for economic reasons — and that we may be at a transition from big solar to rooftop installations. One reason given for this is that California doesn’t need more of them to meet its 2020 target. But although there aren’t currently more plants like this in the pipeline, California and other western states are likely to increase its renewable energy targets. In addition, the technology has now been proven. And finding economies of scale from more projects being built would help with this expensive technology. According to GTM Research, that could adds up to possibilities for more plants like these, if storage options improve. They acknowledge, though, that there will be competition from solar PV, which is already shifting demand to smaller projects. Smaller can still be big. Utilities like Duke Energy are developing solar projects 5 MW or bigger. And some of those same utilities are not being friendly to smaller rooftop installations. Still, rooftop solar is popular. And with groups of all political stripes now fighting for it, we can expect to see a lot more solar on roofs in the U.S. The question is what the mix will be when it comes to large and small installations — and who will own and control that power. Fasten your seatbelts, it’s going to be a bumpy ride! Other CSP projects, such as Crescent Dunes and Solana, have storage, but Ivanpah doesn’t. Two or three years ago, when the Ivanpah and Solana solar CSP projects were being planned, CSP was cheaper than PV. It is possible that if CSP and PV were deployed with equal market share, CSP might still be cheaper (so Perhaps Germany is to blame for the bleak outlook for future CSP?). In any case, Ivanpah is valuable even without storage, because it advances the power tower technology. The old studies by NREL (like this one) predicted that the power tower design used at Ivanpah and Crescent Dunes would eventually be cheaper than the parabolic trough designs used at Solana and Nevada Solar One, especially when storage is added (because power towers can achieve higher temperatures; this boosts heat-to-electric efficiency and cuts the cost of thermal energy storage; also, for a given tower and steam turbine size, more excess solar collecting mirrows can be used, which boosts winter-time capacity factors). Another advantage of centralized utility scale solar (CSP or PV) over roof-top solar is that utility scale solar connects to the high voltage grid, so its output fluxuations are spread over the entire region, whereas a passing cloud makes a big local distruption on the low voltage distribution system where all houses on a street can loose PV output in a few seconds. Regarding the comparison between roof-top PV and utility PV, utility is still much cheaper in the US. According to SEIA‘s 3Q 2013 report, residential costs about $4.72/Watt, and utility is only $2.04/Watt. The cost savings for power transmission and distribution between utilty scale solar and residential rooftop depend on the region. In the north, where peak electricity demand is in the winter, solar would make no difference (other than the 5% or so decrease in losses). Even in the south where summer air conditioning loads dominate grid upgrades, the gain is small until storage is added, since demand at sunset is only slightly lower than the daily peak. I don’t have a more specific estimate handy, since the grid cost will not scale directly with load, as maintaince and weathering don’t depend on cable size. BrightSource uses water as its working fluid. Storing large amounts of very hot water is problematic, since it’s also at very high pressure. I believe the projects with storage all use oil or molten salts for heat collection, using that to produce steam just in front of the turbine. The Spanish CSP’s have storage, using molten salt in the tower which allows for very high temperatures. Amazing this one has none. So why use that technology as it is clearly much more expensive than PV-solar??? Not only higher investment, but especially much higher operating and maintenance costs, that also rise in line with inflation. Here in New Zealand we already produce 85% of our electricity from renewable sources but the problem here is that we have a small but worsening oversupply siuation. Homes and industry are becoming more efficient and useing less power and the huge surge in home solar pva panels is steadily erroding the power companies income. It seems to me that they do not have a clear business policy to deal with the new dimension and are blundering along hoping that something will turn up. What they should be doing is looking for new markets and the huge antapped one is transport. New Zealand has a substantial oil import bill which is largly used for transport and quite a proportion of this could be converted to electricity. This would bring a massive saving on the import bill and help insulate the country from volatile oil price hikes. Peak electricity demand may be in the winter in the Pacific Northwest & northern Midwest, but many of the Northeastern capacity planning assessment areas are summer peaking areas. And of course, total wind energy supply tends to be stronger in winter than in summer, so in areas where wind has a partial capacity factor, a portfolio of wind plus solar will often have a higher capacity factor. However, looking ahead, the WECC assessments of the integration of wind and solar power suggests that its the CSP with 6hr+ storage that make the strongest contribution to the value of a combination of wind and solar PV, so while CSP without storage may be partially rival with solar PV, CSP with storage is complementary. Solar growth in India in recent years has been phenomenal. India became the 2nd largest solar power market in the world in terms of deployment after overtaking United States in the first half of 2018. The country currently has ~25 GW of installed..
What Happens When Communities Say No to Solar and Wind? Nontraditional alliances are forming to defeat projects. Siting solar and wind farms in the real world means coming up against NIMBY. Opposition to the projects can be strong enough to trump the projected economic benefits that would accrue to the host communities. Opposers at the local level may..
California's new building code as of the end of 2018 requires, very boldly, that each new home built in the state be equipped with rooftop solar power. 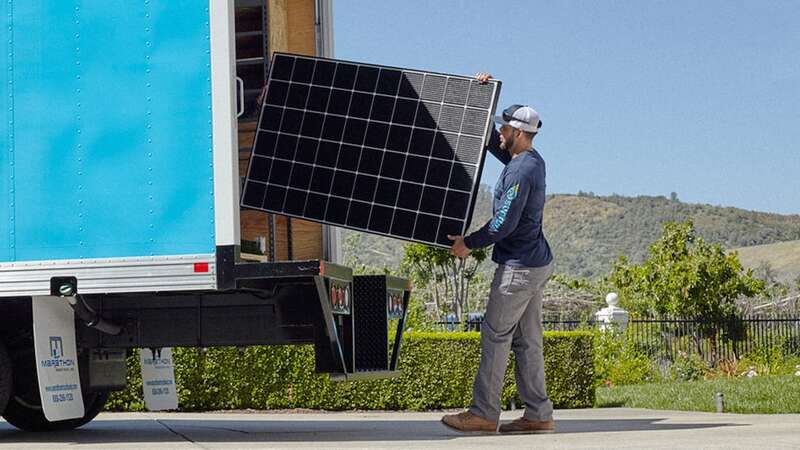 Is this move too extreme or will it play a significant role in the Golden state's efforts to..
An exciting startup in Austin is making rooftop solar-panels that are shielded from weather, meaning they don't have to be connected to a generator. This could be a big development.